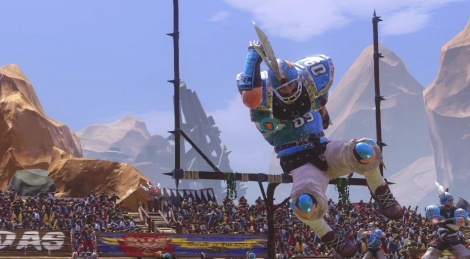 The Xbox Network was kind enough to send us a long list of games and we'll start with the Xbox One version of Blood Bowl 2, which was recenttly released. Our good friend CpRBe accepted to give us a hand and he captured the following footage on his own. The game is also available on PC and PS4. Wow. This is nowhere near how I thought the game would be. Was hoping this would be some Lord of the Rings version of NFL Blitz. Shame. Was looking forward to this one. Shame it's turn based. Was hoping for some of that Sega Mega Drive arcade madness.